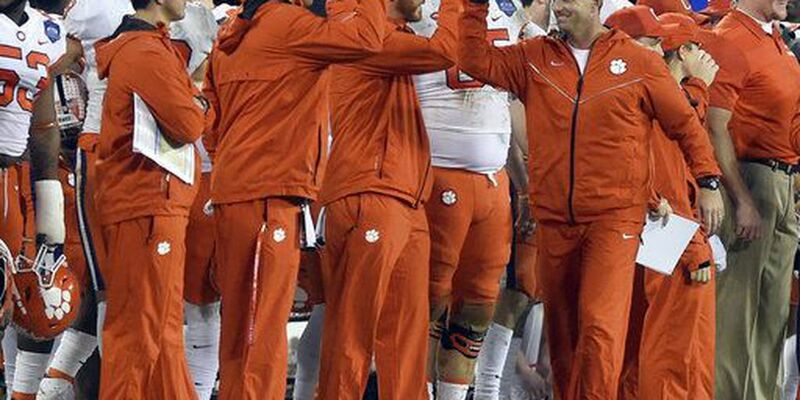 CLEMSON, SC (WIS) - The Clemson Tigers continue their National Championship celebration Monday with a visit to the White House. The stadium celebration and parade was held this past Saturday in Clemson, but the celebrations aren’t over yet. President Trump says he’s looking forward to honoring the team. The Tigers won the national championship after beating Alabama 44-16 last week. What’s going to be for dinner for the national champion Clemson Tigers? President Trump says the White House plans to serve College Football Playoff National Champions fast food during the meeting. What's going to be for dinner for the national champion Clemson Tigers?